This evening, for my last post of August, I was going to post something rather lengthy about what it means to be an introvert in ministry. This post was going to be based on a great article by Adam McHugh and my own experience. In fact, a paraphrased version of the subtitle of McHugh's article, Even if you struggle to be a "people person": you have much to offer the church, is the title of this post. It was the subtitle that made me decide to read it because, for most of this year, I have been hard-pressed to see what I bring to the ministry, something that has become more, not less, acute over the past month or so. The last time I experienced this was, like McHugh, before I was ordained, almost bailing out during my last year of formation. Sadly, circumstances got in the way of the brilliance I had planned. So, to quote Sir Elton, "my gift is my song..." One thing I want to draw attention to, something McHugh does not mention directly in his article, is that being introverted does not necessarily mean being shy. I am an introvert, but I am not shy. Given a choice, I would most often choose to be alone. The good news is I will spare both of my readers a lengthier discourse and cut to the chase, which is why my plans to post something longer, better written and better thought out. "Calling belongs to God, and it is the foundational reason why introverts venture into Christian leadership," McHugh writes. 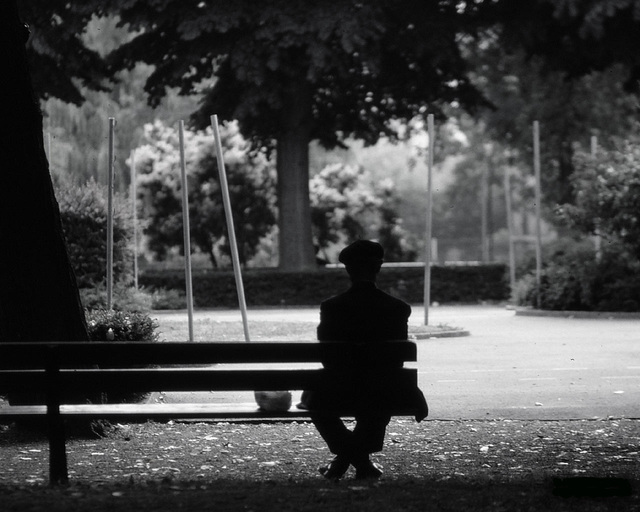 What sustains an introvert in ministry is his/her "sense of vocation," understanding that it was God who, for whatever reason, called us, we did not assume the calling ourselves. So, we have to learn not just how to survive in ministry, but to thrive. McHugh suggests that this is done "through self-care," the practice of the spiritual disciplines, and "thoughtfulness about how we expend our energy, and a healthy perspective on our role in the ministry of the church." McHugh is correct to assert that most often introverts have a leg-up when it comes to the practice of the spiritual disciplines, "such as prayer, writing, biblical meditation and fasting." What challenged me was this, for an introvert in ministry, "self-care must also move in an outward direction" because "there is clarity that comes from speaking out loud." 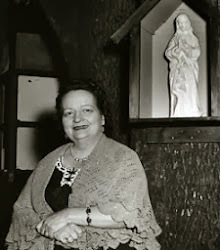 Being Christian is inherently communal, God, who is a Trinity of persons, not a community, but a communio, "never intended for even the most introverted person to live life without connecting to others." Indeed, always being alone "is never an indicator of spiritual health." Hence, we need "to surround ourselves with a small group of trusted people who are able to show us our blind spots and receive us without judgment." It's this last part I find most important because, for me, the most excruciating aspect of being a minister is always being judged and always judging myself. "How was the homily? "- "How did the class go? "- etc. For me this leads to a great temptation to be cynical. I was gratified to know that, as I mentioned on Saturday, I am ahead of the story in one regard, learning to monitor my energy levels, learning "how to save and restore" my energy." Because if I want to last in the ministry and have joy in it, as well as in my personal life, I have to be "thoughtful about scheduling" and very discerning about how I spend the time and energy I invest in ministry, both for my own good and the good of those I am called and ordained to serve. McHugh states that for "an introverted leader, the magic word may not be 'please;' it may be 'no.'" I believe most introverts are sensitive people, too. This brings to mind something a fellow deacon told me a long time ago, "In ministry some people are just going to dislike you." Yes, indeed! My prayer these past days, when I have not been whispering Memorarés, has been, "Jesus, help me stay in front of these circumstances because I know my path to destiny is not over or around them, but through them." In other words, a feeble effort to practice what I preached. Good thing I am the work of Another. Suffering is an inevitable and unavoidable part of being human. The main point of our readings today is that suffering is necessary if we are to become fully human. In the Second Vatican Council’s Pastoral Constitution on the Church in the Modern World, we are taught that Jesus Christ “fully reveals man to himself and makes his supreme calling clear” (par. 22). In our Gospel today, Jesus issues this call in a straightforward and unvarnished manner, in a way that is at once unmistakable and more challenging than anything we could imagine. In our first reading the prophet Jeremiah complains about being duped by God. Up to this point he has prophesied in God’s name many times. As a result of his prophesying he became a laughingstock, an object of ridicule and persecution. “Whenever I speak,” he complains, “violence and outrage is my message” (Jer. 20:8). Nobody wants to hear about God’s judgment. As with the people of ancient Israel, we often only have ears for God’s consolation, everybody wants to be comforted, nobody wants to be challenged. 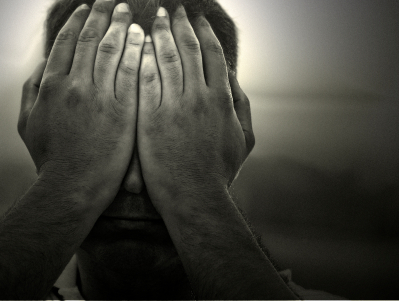 As a result, speaking God’s word brought Jeremiah nothing but derision and reproach. So, he resolved never to speak in God’s name again. Despite his resolve, the word of God is placed in his heart and becomes like a burning fire or a prisoner who must be set free (Jer.20:9). The prophet quickly grows weary of trying to keep his unholy vow. Hence, he finds himself choosing, once again, to prophesy, thus being made subject all over to the unpleasantness and misery that is the result of being faithful to his God-given call. Jesus is clearly upset by Peter’s response that, “God forbid,” such a fate as suffering greatly at the hands of and being killed by the religious authorities would befall the Messiah. But for Jesus, as for anyone who truly follows Him, there is no such thing as fate; there is only the will of the Father. But what causes Jesus to rebuke Peter, whom He just commended, is that the devil tempted Him, through Peter’s misplaced love, to deviate from His course, urging Him to chart His own, less painful, path. What made Jesus identify Peter, his overly-fervent disciple, with Satan, is that Peter, by his denial of what must happen, shows that he still wants Jesus to accept the world as it is, instead of reconciling the world to God through the Cross. 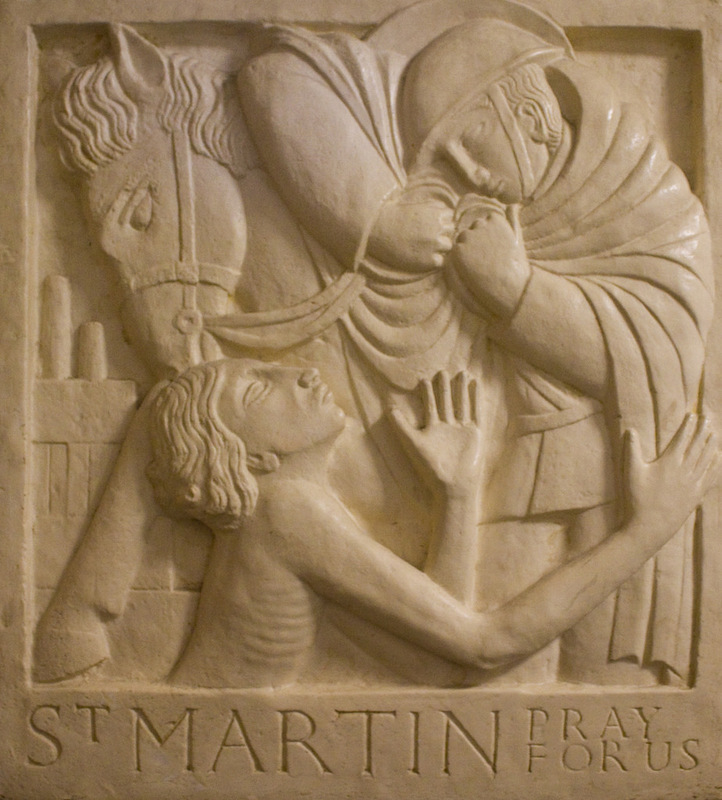 “Peter’s failure,” observed theologian Stanley Hauerwas, “in spite of his confession… is his inability to recognize that Jesus’s humanity is his divinity” (Matthew 152). Indeed, our fundamental dogmatic formula concerning Jesus’ divinity and humanity, defined at the Council of Chalcedon in 451, holds that our “Lord Jesus Christ…must be acknowledged in two natures, without confusion or change, without division or separation. 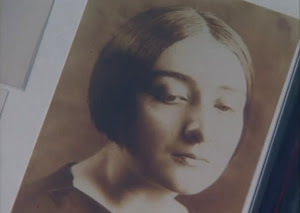 The distinction between the natures was never abolished by their union but rather the character proper to each of the two natures was preserved as they came together in one person” (DuPuis, The Christian Faith 228). We can certainly sympathize with Peter’s inability to fully grasp the Mystery of the One to whom he was speaking. More to the point, Hauerwas goes on to note that more than two millennia “after Peter’s confession” Christians still “fail to recognize that this Jesus is the Son of the living God” (Matthew 152). We fail to acknowledge Jesus’ divinity “because, like Peter, we want Jesus to confirm our presumption that we can understand the way the world works only if we live as if God does not exist” (152). This is what prompted Evangelical pastor Craig Groeschel to write a book entitled, The Christian Atheist: Believing in God but Living As If He Doesn’t Exist. 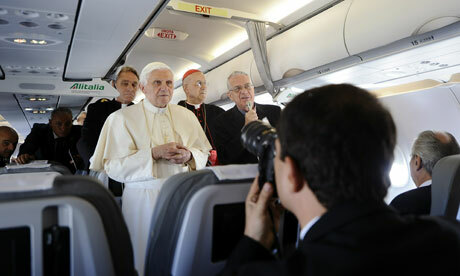 In his book he recounts the time when he sat next to a young woman on an airplane. After discovering that Groeschel was a pastor, the young woman told him that while she had come to faith in Christ at the age of fifteen, an experience that made a difference in her life for a little while, her life at present did not look like the life of a disciple of Jesus (14). She admitted to Groeschel, as if in a confessional, “that she was doing things with her live-in boyfriend that she knew she shouldn’t” (14). She said she wanted to go to church but was too busy working and studying. She told him that she prayed almost every day- mostly that her boyfriend would become a Christian (14). Wiping away tears, she said that maybe if her boyfriend believed in Jesus he would want to marry to her (14). This sad tale prompted Groeschel to write, “Welcome to Christian Atheism, where people believe in God but live as if he doesn’t exist” (14). To wit: we don’t want our lives disrupted, overturned, exposed, which is what is required if we are to live in fidelity to Christ. My friends, what Jesus is telling us is that to follow Him does not mean simply giving up some things, as a token of belief, but giving ourselves to Him entirely, just as He gives Himself for us. This is exactly the call God placed on Jeremiah, despite the prophet’s determination to no longer co-operate. 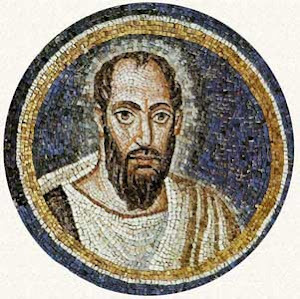 It is our consistent failure to acknowledge that Jesus’ humanity is his divinity that causes St. Paul to so passionately urge us, in the passage taken from his Letter to the Romans, not to be conformed to this age, “but to be transformed by the renewal of your mind, that you may discern what is the will of God, what is good and pleasing and perfect” (Rom. 12:2). 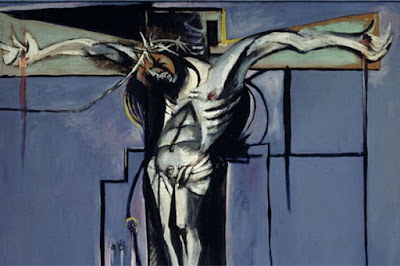 This transformation occurs when, as a member of God’s priestly people, you offer your body “as a living sacrifice” (Rom. 12:1). You may ask, “What does this mean in practical terms?” A.W. Tozer answered this question: “The 'layman' need never think of his… task as being inferior to that of his minister. Let every man abide in the calling wherein he is called and his work will be as sacred as the work of the ministry. It is not what a man does that determines whether his work is sacred or secular, it is why he does it. The motive is everything. Let a man sanctify the Lord God in his heart and he can thereafter do no common act. All he does is good and acceptable to God through Jesus Christ. For such a man, living itself will be sacramental and the whole world a sanctuary. His entire life will be a priestly ministration” (Pursuit of God 127). 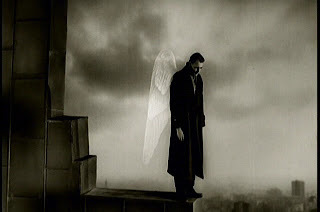 The mystery of your own existence will remain incomprehensible to you as long as you refuse to acknowledge that pain and suffering are necessary for your salvation, as long you mistakenly see suffering as God’s punishment, instead of as your salvation. This is what it means to take up your Cross! To understand this you have to see that our nature “is revealed by the One who gives testimony to unconditional love by giving up Himself for the salvation of the world” (Wencel, The Eremitic Life 191). Christ calls us to participate in His saving work. You respond by your refusal to be conformed to the world and by allowing yourself to instead be renewed and transformed, which change happens as you continually offer yourself to God “as a living sacrifice” (Rom. 12:1). My dear friends, if you fail to see that this very Eucharist is not just a matter of receiving, but also of offering yourself anew to God, it cannot have the effect God intends it to have because God, as we see with Jeremiah, won’t violate your freedom. So, the choice is yours, as are the consequences of your choice. In the same way that Jeremiah warned ancient Israel, Jesus warns His disciples by telling them that when He returns in glory He will “repay all according to his conduct” (Matt. 16:27). "A stable spiritual life requires much prayer..."
Without going into great detail, back at the end of June the Lord, stooping down once again to take pity on my nothingness, stopped me in my tracks. I was close to ministerial burn-out, which was making me less effective at work, more irascible at home, and generally-speaking, just not very happy or interested in anything. I have always despised busyness for busyness' sake, a trap that far too many people get sucked into. Even in writing about this, I am very conscious of my desire to write everything, which is never possible, but always leaves me feeling dissatisfied, for whatever reason. It would be an exaggeration to say that I was not praying, but my prayers, like everything else, were quite perfunctory, that is, shallow attempts to maintain the discipline of prayer, but not really prayer. So, after a period of serious prayer and discernment, which culminated with seeking the wise counsel of a priest who is a friend and someone whose judgment I trust, the pastor of a parish at which I do not serve, nor one in which I am resident, thus making him objective, I determined how I was going to cut back. After meeting with the rector of the Cathedral at which I serve and discussing my plans with him, receiving his gracious approval, I took a difficult, but necessary step in the right direction. So, I have been praying more, really praying, which is a great grace and not the result of any effort of mine, except making myself genuinely available. Today I want to share a few of the things that have helped me during this time of re-ordering my life in collaboration with the Lord. The first is from the hermit Richard Rolle, who lived in the thirteenth and fourteenth centuries: "A stable spiritual life requires much prayer and devout singing of psalms. Evil is only conquered by continual prayer." He goes on to write that prayer and meditation need to become habitual, like breathing. This requires focusing our attention exclusively on God. As we do so "we do not think of anything in particular," just directing our entire will toward God. 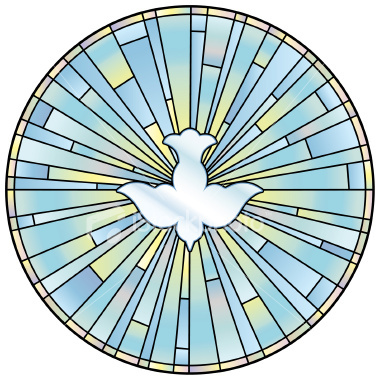 "The Holy Spirit," then, "burns in our soul" because "God is at the very heart of our being." In this way "[o]ur prayers are made with affection and become effective." When our prayers require words, which they often do, "we do not rush." 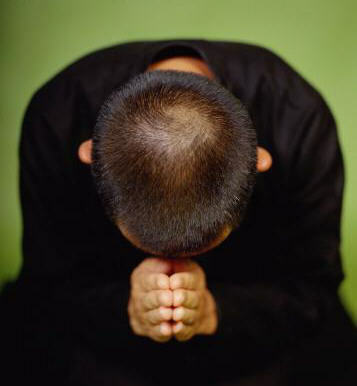 "We can offer almost every syllable as a prayer in itself. The love burning in us will give fiery life to our prayers." "Prayer of this kind," he concludes, far from being a chore, a task, a discipline to be maintained, "is a delight." With Nehemiah, I say, "The joy of the Lord is my strength" (Neh. 8:10). True leadership is servant leadership, a phrase, which sadly, has been appropriated by the worldly leadership and management gurus, who seek, by their ministrations, to turn what is spiritual into something fleshly, trying to make it pragmatic, profitable, and at the service of our never- ending and futile quest to make ourselves healthy, wealthy, and wise. This is why I am so grateful for the Holy Father, Pope Benedict, who consistently shows us what Jesus really meant. I cannot think of a better explication of Don Gius' axiom that the human person is a direct relationship with the Mystery than this. I am full of gratitude for wise teachers. While I possess a lot of information, I lay no claim to being wise. This is fine because my lack of wisdom is precisely what makes me conscious of my great need, of the necessity of begging for Christ daily, but I do so in the confidence that He, in turn, begs for my heart. "We're half awake in a fake empire"
The National's Fake Empire is our Friday traditio. May we, like them, at least be wide awake in a fake empire and stop looking for salvation where it most certainly cannot be found. "Brothers, even if a person is caught in some transgression, you who are spiritual should correct that one in a gentle spirit, looking to yourself, so that you also may not be tempted...For if anyone thinks he is something when he is nothing, he is deluding himself...So then, while we have the opportunity, let us do good to all,but especially to those who belong to the family of the faith" (6:1.3.10). I think this more than applicable to many of the struggles in which we engage. The takeaway is that truth must be established by love, not by force, or eloquence, or brilliance of argumentation. It is easy to be hurt and bruised and to be bitter as a result. Heaven knows nothing has set me back on my own heels than experiences I have had in ministry! But, by the grace of God, I have learned to count it all as joy and opportunity, at least once I work through the hurt, which always involves an element of getting over myself. With St. Paul, I pray that I may "never boast except in the cross of our Lord Jesus Christ, through which the world has been crucified to me, and I to the world. For neither does circumcision mean anything, nor does uncircumcision, but only a new creation" (Gal 6:14-15). Refrain from "biting and devouring one another"
Daily engagement with the Scriptures is an indispensable part of Christian life. It was St. Jerome who said that ignorance of Scripture is ignorance of Christ. On the one hand, this is a challenge for many. On the other, there is a reason we call those practices necessary for life in Christ "disciplines." One cannot emphasize too strongly that the spiritual disciplines are not ends in themselves (i.e., they are not magic and do not absolve you of your responsibility for living), but means to the end of being ever more conformed to the image of Christ. There are many different ways of engaging Scripture and for anyone who does it over the long haul, a variety of approaches is needed. The way most recommended for reading Scripture is the ancient practice of lectio divina, a practice I personally recommend. Another way, one that requires even less effort, is what might be termed "tolle, lege", the very words that brought about the conversion of St. Augustine (Confessions Book VIII, paras. 28-29). These words, spoken by a voice Augustine could hear, simply mean "take up and read." I try to read three chapters of Scripture per. There is nothing mystical about the number three. I just read one in the morning, one at lunchtime, and one in the evening. I also read the same of book of Scripture several times over, which is a practice I find most fruitful. Currently I am cycling through St. Paul's Letter to the Galatians. The occasion for the apostle's missive is the Judaizers, that is, Jewish Christians from Jerusalem who insisted that Gentiles who become Christians first must become Jews, meaning that males must be circumcised and that all must adhere to certain prescripts of the Mosaic law. All of this took place after the so-called Council of Jerusalem, which is chronicled in Acts 15, where it was decided that Gentiles did not first have to become Jews in order to become Christians, but that Christians were "to abstain from meat sacrificed to idols, from blood, from meats of strangled animals, and from unlawful marriage" (verse 29). Paul makes the point that if you undertake to observe the law, you will be judged by the law; the take away being that anyone who goes this route will ultimately be condemned because it is not possible to observe the law perfectly. This is the context for one of the most frequently quoted passages from Galatians, "I live, no longer I, but Christ lives in me" (2:20). Paul actually writes that Christ lives in him only insofar as he lives "by faith in the Son of God who has loved me and given himself up for me" (2:20). Paul lives this way only by grace, "for if justification comes through the law, then Christ died for nothing" (2:21). In fact, later in his ministry, Paul even permitted Christians to eat meat sacrificed to idols as long as they did not cause scandal to those weak in faith (1 Cor. 8). I can't help but apply this to the incomprehensible flap about how to receive communion. For Roman Catholics in the United States there are clear Norms for the Distribution and Reception of Holy Communion Under Both Kinds. These norms were approved by the Congregation for Divine Worship and the Discipline of the Sacraments in 2001, which included some indults, which are approved deviations from legal norms. 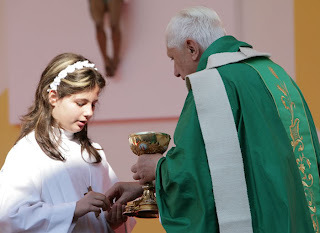 One indult included in these norms is the option of the communicant to receive Holy Communion under bread either in the hand or on the tongue. 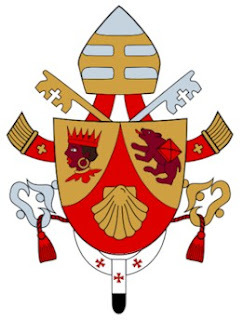 The U.S Bishops were informed in 2006, after Benedict XVI was named Supreme Pontiff, by the then-Prefect for the Congregation of Divine Worship, Francis Cardinal Arinze, that the indult granted in 2001 would not be renewed. However, to date, these norms have not been superseded and no new guidance has been received from the Holy See. So, these norms remain in place authoritatively as a matter of particular law. It is wholly un-Christian to demagogue about this issue! Frank Weathers, over at Why I Am Catholic, demonstrated that it is not beneath some (Michael Voris in particular) to grossly distort Church history to serve their own divisive and self-righteous ends, apparently having no problem with leading others astray. Voris insisted that receiving communion in the hand is what led to the excommunication (and worse) of Priscillian and his heretical followers. But Frank concludes rightly, on the basis of solid research, that the Priscillianist heresy had nothing whatever to do with receiving communion in the hand, but with things like denial of the Trinity, docetism (which denies Christ's humanity), forbidding people from entering into lawful marriages, the eating of meat, and sexual licentiousness. Franks sums all of this up succinctly by stating that Voris' propaganda film "is much ado about nothing. Zilch. Nada. Zippo." 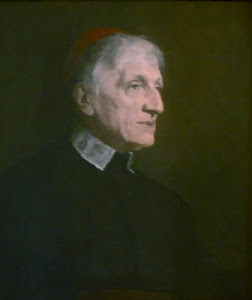 In charity I will give Voris the benefit of the doubt and write that he must not have thought through the implications of the erroneous point he tried to make, according to which logic successive popes and the bishops of all countries who requested the indult permitting the faithful to receive Holy Communion under bread in the hand are either materially or formally heretics. Might inaccurate and intemperate productions like this be the reason why WYD organizers went of their way to point out that Voris' presentations in Madrid, ironically marketed as No Bull in Madrid, were not approved? To wit: receiving Holy Communion under bread in the hand was not unknown in the Church prior to Vatican II. The USCCB norms cite a catchetical lecture of St. Cyril of Jerusalem, himself a bishop and certainly no heretic: "When you approach, take care not to do so with your hand stretched out and your fingers open or apart, but rather place your left hand as a throne beneath your right, as befits one who is about to receive the King. Then receive him, taking care that nothing is lost." It is safe to say that it is the lifelong experience of most Catholics in the United States to receive communion under the form of bread in the hand while standing, which indult was first approved by Pope Paul VI on 29 May 1969. It is also the lifelong experience of most U.S. Catholics to receive communion under both species and to receive from the chalice while standing. So, this in and of itself does not demonstrate a lack of reverence. As one who is privileged to serve as an ordinary minister of Holy Communion almost each and every Sunday, I see many beautiful gestures of reverence for the Blessed Sacrament, both before and after reception by my sisters and brothers young, old, and, like me, somewhere in between. Similar obstacles exist with regard to restoring the Sacraments of Initiation to their proper order (i.e., Baptism, Confirmation, Eucharist), something else the Holy Father has encouraged bishops throughout the world to undertake. To my mind, it is the right thing to do, but not in a ham-fisted, pastorally inept manner that fails to take into account proper catechesis that challenges the predominant understanding of just what the Sacrament of Confirmation is, as well as the burdens such a change imposes on parishes, not to mention how it would change our approach to Youth Ministry. We live in liturgically interesting times. In the Roman Church we currently have two distinct rites for celebrating Mass, the Ordinary and Extraordinary forms. We have non-standard ways of receiving communion, despite having a clear and ancient norm. Such circumstances should facilitate understanding and charity. In May of this year, Cardinal Kurt Koch, the President of the Pontifical Council for Promoting Christian Unity, during a conference in Rome that dealt with the Holy Father's 2007 motu proprio Summorum Pontificum, which liberalized the celebration of the Mass according to the Missale Romanum of 1962, the last edition approved prior to the Second Vatican Council, observed that "Pope Benedict knows well that, in the long term, we cannot stop at a coexistence between the ordinary form and the extraordinary form of the Roman rite, but that in the future the church naturally will once again need a common rite." He wisely noted, that "because a new liturgical reform cannot be decided theoretically, but requires a process of growth and purification, the pope for the moment is underlining above all that the two forms of the Roman rite can and should enrich each other." I expect that after the implementation of the new English translation of Missale Romanum is well underway, clarifications will follow, which may well include the revocation of the indult to receive communion in the hand, but this is just speculation on my part. In the meantime, as I have done since becoming Roman Catholic in 1990, I will continue to receive communion in my hand. I will also continue to be in awe as I do so. As an ordinary minister of communion, I will continue to practice eucharistic hospitality by distributing communion to my brothers and sisters in Christ who, out of reverence and genuine piety, choose to receive Holy Communion on their tongues, both kneeling and standing. We are to receive Jesus Christ in the Eucharist, which makes the Church and is the source of our unity. It seems that some are more intent to "go on biting and devouring one another" (Gal. 5:15). St. Paul warns the Christians of ancient Galatia to "beware" lest you consume one another (Gal. 5:15). 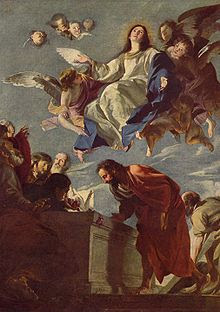 A week after our observance of our Blessed Mother's glorious and bodily Assumption into heaven, we celebrate her heavenly Queenship. 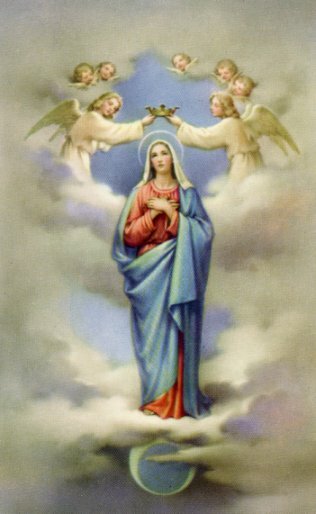 Just as her Assumption is the fourth of the Glorious Mysteries of her Most Holy Rosary, the fruit of this mystery being the grace of a happy death, her coronation as Queen of Heaven is the fifth Glorious Mystery. The fruit of this mystery is trust in her intercession. 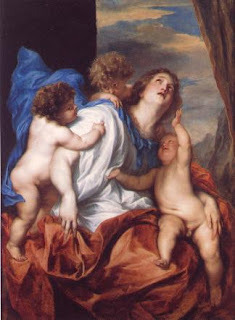 Today, let us, Eve's poor, banished children, bring our care and concerns to our Blessed Mother, the Queen of Heaven: Remember, O most blessed Virgin Mary, that never was it known that anyone who fled to thy protection, implored thy help, or sought thine intercession was left unaided. In light of today's Gospel and the end of World Youth Day, over which the Holy Father presided in love (in a way symbolic as to how he presides over the ekklesia), it seems more than appropriate to bring this Sunday to a close by reflecting on the divine necessity of the Petrine office in the Church. For this I turn to Hans Urs Von Balthasar's book The Office of Peter and the Structure of the Church, which I quite coincidentally finished reading this afternoon. Balthasar insists "the the structure of the office instituted by Christ in the Church is modeled... on the Cross..." It is axiomatic to Balthasar's ecclesiology that the Church is fundamentally Marian. He also discerns four apostolic dimensions of the ekklesia- the Jamesian tradition, representing tradition and law; the Johannine, "the love which 'abides;'" the Pauline, "freedom in the Holy Spirit;" Petrine, the "pastoral office." Again taking the Corinthians as his starting point, Balthasar notes "that office and officeholder (no matter how much the latter annoyed them) simply could not be separated." In other words, one cannot "feign respect for the office" even as he disrespects the officeholder (352). Therefore, each one of us should join our personal prayers to that of the daily Eucharist, asking the Lord to preserve the unity we have in Peter and to bring all Christians into unity with each other through the Petrine ministry, which, as Balthasar also notes, is at root "eccentric." Who has known the mind of Lord? Paul answered the rhetorical question he poses in his Letter to the Romans years before in his First Letter to the Corinthians: "no one comprehends the thoughts of God except the Spirit of God" (1 Cor. 2:11). More importantly, St. Paul reminds the Christians of Corinth that "we have received not the spirit of the world, but the Spirit who is from God, that we might understand the things freely given us by God" (1 Cor. 2:12). This week on Peter Herbeck's radio program, Fire on the Earth, which, along with Sr. Ann Shield's Food for the Journey, I listen to everyday on the way to work, or, failing that, the podcast before or after work, Tom Naemi, a Chaldean Christian from Iraq, who immigrated to Detroit at a young age, told his story of conversion. Prior to his conversion, Tom had been a "practicing" Chaldean Rite Catholic his entire life. It was not until he went to prison for trying blow up the store of a business rival that Tom came to know the Lord. In the final installment of his week-long appearance on Peter's program, Tom describes his own Pentecost, which is what St. Paul describes to the Corinthians and shows that his question in Romans is really a rhetorical question, at least for those who know the Lord. While in prison, after his conversion of sorts, he attended one of Renewal ministries Life in the Spirit seminars. The next morning, as he watched television news in his cell, listening to it through an ear bud, as his Chaldean cellmate, Ray, was laying on his bunk, Tom heard the word "God" from a person on t.v. On hearing "God" he said he felt the Lord in his body. His body temperature raised and he stood up and shouted, "Jesus is in the house!" He then prayed over Ray's ailing ankle, which was healed. Tom shows us what it means to know the mind of God, through Christ, by the power of the Holy Spirit. He also shows us why and how we must die and be resurrected, or, using Jesus' words to Nicodemus, to be born again by water and Spirit. Those who know the mind of God, to whom the heavenly things have been revealed, don't think like those in the flesh, in the world, because they perceive differently, seeing with new eyes, the eyes of faith. Tom goes on to say that after experiencing the love of Christ, he couldn't believe how he had lived before. He says, "I'm God's child and I was livin' like a heathen. I went to church and never knew what it meant. I never had a relationship with Christ. 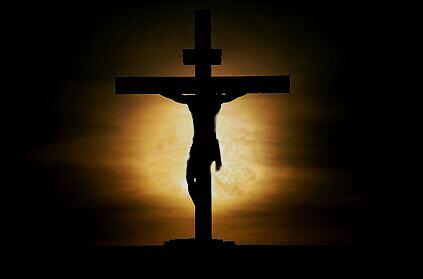 And now, thank you Jesus, that I'm in prison and come to know You." Tom is out of prison now and ministering, as a layman, teaching the Bible, preaching, praying, and healing. This brings us to what Paul is saying in our passage from Romans for this twenty-first Sunday in Ordinary Time: To know the mind of God is grace, pure and simple. You can't earn it. You can't buy it. The Spirit, the ru'hah of God, blows where He will. Those who have opened themselves and let God in are forever in God's debt, but, paradoxically, it is a debt that makes us rich. "To him be glory forever. Amen." Alleluia! In addition to listening to Tom's story via Fire on the Earth, Peter interviewed Tom for the 21 August 2011 episode of Renewal's television program, The Choices We Face. I can make a distinction between writer's block and blogger's block. This entire summer I have been struggling with the latter. Everyone who blogs has, either consciously or semi-consciously, an over-arching idea about what they're doing and why they are doing it. Since blogging for me is wholly an avocation and something I do in my free time, I have very low expectations when it comes to assessing what good I might accomplish by posting things on the internet and inviting any and all to read it. When it comes to blogging, I pride myself on several things: original content, relatively in-depth treatment of whatever subject I write about, writing about things that arise from my experience, unsentimental charity, honesty and accuracy. I gave up a long time ago trying to post about anything and everything that catches my interest, or that is current and relevant. Whenever I grow all introspective about blogging, it is always important for me to mention those I have come to know and even to collaborate with, however loosely, through my blogging. Thinking along these lines always puts me in mind of that great speech given by Bl. 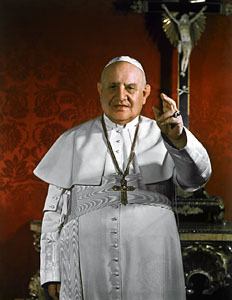 John XXIII to open the Second Vatican Council, which is such a tremendous blessing to the Church of God: "In the daily exercise of our pastoral office, we sometimes have to listen, much to our regret, to voices of persons who, though burning with zeal, are not endowed with too much sense of discretion or measure. In these modern times they can see nothing but prevarication and ruin. They say that our era, in comparison with past eras, is getting worse, and they behave as though they had learned nothing from history, which is, none the less, the teacher of life. 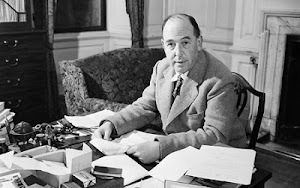 They behave as though at the time of former Councils everything was a full triumph for the Christian idea and life and for proper religious liberty." To wit: the church, despite the many doomsayers, is in good stead in the blogosphere and the on-line arena, a place that is necessary for the church to be present amidst so much that is dehumanizing. It remains my very humble prayer that I can make, at least from time-to-time, a positive contribution. "And I'm so glad you made it, so glad you made it "
... to Friday, that is. It's weird to wake up thinking that it is Friday and time for another traditio and having my thoughts go right to the Blues Brothers Gimme Some Lovin'. I decided to go with Stevie Winwood and Eric Clapton covering The Spencer Davis Group's classic. "Been a hard day nothing went too good/Now we're gonna relax just like everybody should." Looking back at the U.K. riots, I believe in them we see the results of too many living lives with no horizons. Living my whole life in the American West, I am used to seeing the horizon, to having an unobstructed and grand view of it all the time. From the time I can remember I have been very conscious of this. As much as I love visiting different places, it always bothers me when such a grand vista is not available. It doesn't take me too long to start feeling suffocated. Feeling suffocated, or turned in, is a bad enough reaction to geographic conditions, I am past the point where I can even fathom how it must be to experience this as an existential condition. Anyway, we all need some lovin', making me all the more grateful that, as Pope Benedict reminded us at the beginning of exhilarating pontificate, Deus caritas est. For those left scratching their heads, "evanescent" means "vanishing, fading away, fleeting." A deep diaconal bow to my friend Suzanne for bringing the Holy Father's statement to my attention this morning. Upon his arrival in Madrid, the Holy Father had this to say to the press about the world economic situation, which seems to be going from bad to worse: "The economy doesn't function with market self-regulation but needs an ethical reason to work for mankind. Man must be at the center of the economy, and the economy cannot be measured only by maximization of profit but rather according to the common good." I read what the pope said shortly after it hit the wire and I posted in on Facebook. Within mere seconds people were responding, eisegetically parsing Pope Benedict's words, waxing forth on how what he had to say does not cohere with their ideological predispositions. From where I stand, at least in Christian terms, what the pope said is non-controversial. In fact, these words could serve well as a brief introduction to his encyclical, Caritatis in veritate, which, unlike his previous two letters, is quite a complex document. Hence, it is one that is in need of more popular exposition by experts. I think before we start reading into papal pronouncements (this is the meaning of "eisegetical"), loudly proclaiming, "I’m a conservative", I’m a liberal", "I’m a libertarian", "I’m a vegetarian", et al., it is important to note that the Holy Father is not articulating an ideology. 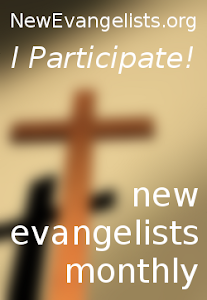 He is proposing the application of the Gospel to life in the real world. As a result, he neither prescribes nor proscribes specific economic policies. Ethics, after all, is the application of morals. Personally, I have nothing to say to anyone who insists that people exist for the economy and not the economy (the very term is a highly ambiguous attempt to describe reality- at best) for people, a simple fact that seems to be quickly forgotten by everybody, regardless as to which ideology they subscribe (including those who fail to see how human dignity is violated by creating and perpetuating welfare-dependence among the poor- even Catholics whose view privileges solidarity over subsidiarity). The debate is not now and has not been for many decades whether unregulated markets or government central planning work better. The fact is, neither work for the common good. 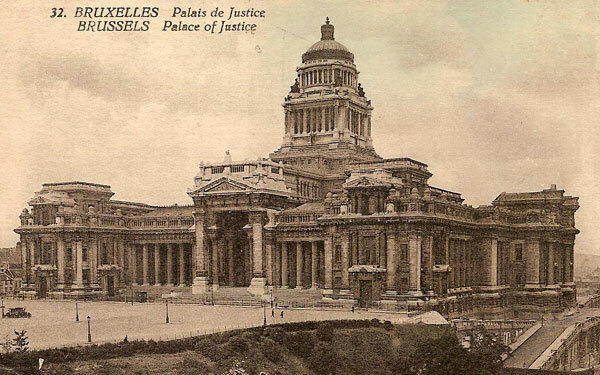 To wit, not all governmental regulation is bad, much of it is necessary. On the other hand, government over-regulation, to which we are certainly prone and, so, needs to be kept in check, is certainly a drag on the economy. What is needed is a balance. Being in balance means holding things in tension and leaning one way or the other to maintain stability, as conditions dictate. These kinds of issues are not the kind that we resolve once-and-for-all and certainly not by undertaking dramatic measures, like the one proposed recently by both Newt Gingrich and Michelle Bachmann, to abolish the EPA. This is why zero sum-gamers on both sides, those who refuse to budge, fail to serve the common good, looking out only for narrow interests, usually their own. It’s like the Holy Father’s take on globalization: in and of itself the phenomenon is neither good nor bad; it depends on how it occurs and whether it is grounded in the truth about the human person. "The truth is that only in the mystery of the incarnate Word does the mystery of man take on light" (Gaudium et Spes, par. 22). It's funny how things work, but this morning, in the aftermath of posting about theosis last night, as I was reading Erasmo Leiva-Merikakis' The Way of the Disciple, I came across a passage in which the author writes about what this means in Christian terms. What is remarkable in this passage, the author observes, is that these things are written about in the past tense, thus indicating that it is a present reality, something already begun, something that has occurred in us by grace. "In other words, we recognize the glorification of our humanity in Christ only at once to realize the real presence now of his divinity." St. Paul emphasizes "how very literally Christ's personal Resurrection and Ascension to God's glory is also our personal destiny and present identity as members of his Body, because we are found in Christ Jesus." This is also what I noted Monday on the Solemnity of the Assumption of the Blessed Virgin Mary by quoting this same author, who also wrote: "the Resurrection of the Son has already worked its full effect in the Mother who bore him in faith and love, and this, too, is our own path and destiny if we want it to be and if we are willing to live accordingly." Our observance of the Assumption is not cheer-leading for our Blessed Mother, our way of collectively saying, "Way to go, Mary, good for you." 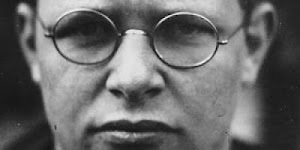 At its deepest level it is an expression of our own desire as well as my acknowledgement that only Christ can satisfy my existential yearning, which constitutes my humanity at its deepest level. Partakers of the divine nature, but how and to what extent? 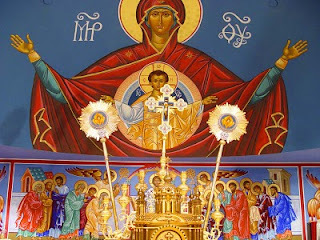 The ancient Christian doctrine of theosis, or, as Roman Catholics tend to call it, divinization, refers to our participation in God's triune nature, becoming as much like God, who is Father, Son, and Holy Spirit, as it is possible for us to become. However, we can never be Gods because there is an ontological barrier that cannot be breached. Yes, I used the word cannot. Well, can't God do all things? Certainly God can do all things. However, a contradiction is not a thing. If you throw out the law of non-contradiction, the universe moves from being created by the divine Logos to an incomprehensible place in which science, among other things, becomes futile at best and impossible at worst, where chaos replaces cosmos. The best and most succinct way of explaining the Most Holy Trinity is as one God in three divine persons. It may interest many readers to know that the mystery of the Trinity is not somehow trying to figure out how 3=1. Three does not equal one, it never has and it never will. Hence, such a blatant absurdity has never been proposed for anyone's belief, at least not by the Church. Such an approach kind of divorces faith and reason from the get-go. Three differs from one exactly by two. It works every time and can be mathematically proven. Beyond that, any orthodox understanding of the triune God must recognize that there is a real distinction between the Father, the Son, and the Holy Spirit. In others words, the Father is neither the Son nor the Spirit, the Son is neither the Father nor the Spirit, just as the Holy Spirit is not the Father or the Son. As I mentioned recently, the Holy Spirit is not merely a modus, that is, merely the way Jesus Himself present to us. 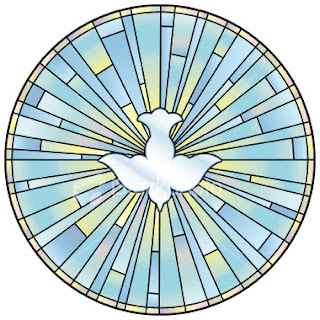 While it is true that the Holy Spirit is the mode of Christ's resurrection presence in us and among us, the sacraments being His masterworks, the Holy Spirit, like the Father and the Son, is also a divine person in His own right; he is a hypostasis. When we consider the attributes of God, both those that can be known by reason alone and those that are known only because God has revealed these things to us (revelation is how we know God is a trinity of persons), all of these attributes pertain equally to the three divine persons of the Most Holy Trinity. A good introduction to the divine attributes is the First Vatican Council's Dogmatic Constitution on the Catholic Faith, which lists the divine attributes that flow from and to a large extent can be said to constitute God's divine nature. It is precisely here that it is useful to make the classic distinction between person and nature. Nature is about the whatness of a being. For example, we all share what we call human nature (my apologies to any dolphins who may be reading this). By "human nature" we mean those attributes we have in common that make us recognizably human to each other, what makes us the same. Conversely, by "person" I refer to who I am, what makes me different from you. God is uncreated. We are created. As noted at the beginning, God cannot make something created become uncreated. So, at least in this way, we will never be fully "like" God. Nonetheless, God wants us to share as fully in the divine nature as we are able, which is why the Father sent His only begotten Son into the world. One of the things a deacon does in his service at the altar is pour the water into the wine. As a deacon, or in the absence of a deacon, the priest himself, pours water into the wine, he says (inaudibly), "By the mystery of this water and wine may we come to share in the divinity of Christ, who humbled himself to share in our humanity." In this vein, it bears quoting something I once heard then- Fr. J. Augustine DiNoia say in a seminar I attended: "God created human beings because God could not create other gods." This is just a more philosophical way of saying that God cannot perform a contradiction by turning a created being into an uncreated being, as well as a masterful way of highlighting the sublime nature of the Incarnation. All of this and what follows is prompted by a recent article that appeared in the LDS Church-owned Deseret News, which tries to link the LDS idea that human beings can become Gods in our own right, just as a passage from the Doctrine and Covenants (Section 132 verse 37) adequately demonstrates, with the Christian doctrine of theosis. The Doctrine and Covenants is considered scripture by Mormons along with the Bible, the Book of Mormon, and the Pearl of Great Price. Daniel Peterson, the author of the article, concludes that Mormon founder Joseph Smith, Jr., by teaching that human beings can become Gods, "restored an authentically ancient Judeo-Christian doctrine," writing that rather than being "a scandal," this "restoration is "a miracle." 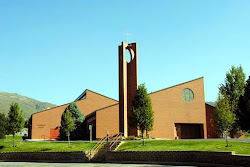 Quite a few years ago now a student at the Dominican School of Philosophy and Theology, Jordan Vajda, who went on to be ordained a priest in the Order of Preachers Friars (the formal name of the "Dominicans") before leaving the priesthood and the Catholic Church to become LDS himself, wrote a master's thesis entitled Partakers of the Divine Nature. Like Peterson, Vajda sought to demonstrate how the LDS understanding of exaltation was somehow intrinsically linked to the ancient Christian doctrine of theosis. 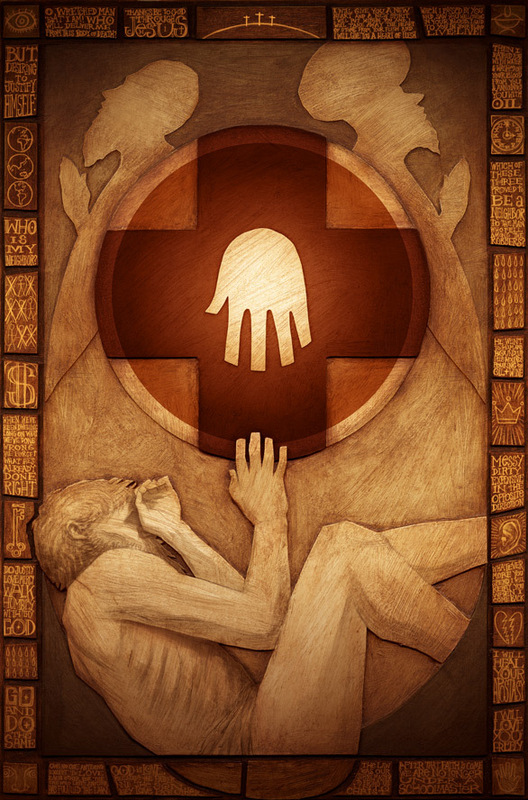 Vajda's treatment of the issues in play is rather thorough, taking into account how the Christian Church understands divinity and humanity and how different is the LDS understanding of both divinity and what it is to be human. The LDS explicitly reject the Trinity, believing the Father, Son, and Holy Spirit to be "separate and distinct" from one another. Beyond that, according to LDS teaching, the persons of the Godhead are not ontologically different either from one another, or from you and I. So, for the LDS becoming a god only makes explicit what is already implicit. In the third chapter of the Book of Abraham (found in the Pearl of Great Price) we find out about this and that God did not create the world ex nihilo (i.e., out of nothing), but organized it from already-existing matter. Even God the Father is not ontologically different, but chronologically prior to you and me. This is made clear, again, by the Lorenzo Snow couplet: "As man is, God once was; as God is, man may become." But this is only to cover what I have covered before and quite recently. The LDS, according their second Article of Faith (also found in the Pearl of Great Price), reject original sin: "We believe that men will be punished for their own sins, and not for Adam’s transgression." Well, in point of fact, we believe this too, but we believe that it was through Adam's transgression that sin entered the world in the first place. Sin is what Christ needed to atone for and the reason we need to be redeemed. This is where experience comes in handy. As Malcom Muggeridge observed- original sin is the most empirically verifiable fact in the world. Keep in mind the Father has only one Son who is "begotten, not made" (like begets like, whatever we fashion ourselves we are said to make). We become children of God through Jesus Christ in the re-birth of baptism. For Christians, too, partaking in the divine nature means making what is implicit explicit because it is for the communion that human beings originally enjoyed that each one of us and all of us together are made. This is why our most privileged moment is receiving communion, prompting no less than St. Augustine to exclaim: "Become what you eat; receive what you are," meaning what we are not by nature we become to the fullest extent possible by grace, building as it does on nature, sanctifying us in a way that shows that experience is the instrument for our human journey. Even grace is not able to overcome the ontological barrier of our creaturliness. In the end, experience trumps fanciful religious ideas, especially ones that deny reality by playing to our vanity: "For God knows that when you eat of it your eyes will be opened, and you will be like God, knowing good and evil" (Gen. 3:5-ESV, underlining emphasis mine). Remember, God did not make you for yourself, but for Himself, which why God is our origin and our destiny. As Scripture teaches, 'for you shall worship no other god, for the Lord, whose name is Jealous, is a jealous God" (Exo. 34:14- ESV). Rather than a restoration of an authentic Christian doctrine, something that was perverted after the so-called "great apostasy" that took place, according to Mormon teaching, sometime during the early centuries of the Church, the LDS doctrine of exaltation is a rehash of a persistent and ancient form of gnosticism, rejected by Christians from the very beginning, a doctrine that finds no place in the apostolic teaching. I post this only to highlight some of the fundamental differences between LDS belief and Christian beliefs, differing as we do not only about who and what God is, but who and what we are, as well as the possibilities concerning what we are to become. Just as last month marked my fifth anniversary of blogging everyday and the changing of the name of my blog from Scott Dodge for Nobody to Καθολικός διάκονος, today marks my sixth anniversary as a blogger. Between 16 August 2005 and 19 July 2006 I posted a grand total of six times. As I have mentioned before, the original title of my blog was a not very original variation on the name of a local radio program here in Salt Lake City, one that has long since gone off the air, Tom Waits for Nobody, which aired on Sunday nights. So, while Catholics can accept variations in life on earth as random in the sense of being unpredictable, no variations can be considered by Catholics as unguided and unplanned. Biologists and other scientists work hard to explain how life on earth originated and evolved. However, it is beyond the competency of science to tell us why, to paraphrase Heidegger, there are things rather than no things. While even on my best days I remain ambivalent about blogging, for the most part I enjoy it, but only because I do not expect too much of it. Continuing my series on scriptural reflections for Sundays using, for the time being, our second readings, currently taken from St. Paul's Letter to the Romans, which this week as last deal with the Jews in light of Jesus Christ, I wonder how many homilies this Sunday will deal with this issue at all. It is safe to say, not many. 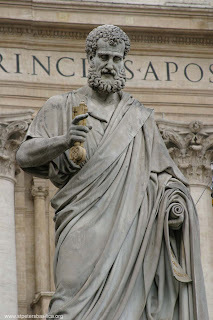 The gifts of God are, indeed, "irrevocable," as St. Paul indicates. This means that when we use the term "Old Testament" to refer to the Hebrew Scriptures, we must be conscious of doing so only in a chronological way, denoting merely the fact that these writings not only came before our uniquely Christian Scriptures, which we refer to as the "New Testament," but are necessary to even make sense of our own Scriptures and, more importantly, the One they proclaim, Jesus Christ. The Second Vatican Council's Dogmatic Constitution on Divine Revelation (Dei Verbum), makes this very clear: "God, the inspirer and author of both Testaments, wisely arranged that the New Testament be hidden in the Old and the Old be made manifest in the New" (par. 16). God is not deterred by our disobedience, as the whole divine plan of salvation, set in motion at the fall of our first parents, demonstrates. This is why in the great Exsultet, sung each year at the Easter Vigil, we proclaim: O felix culpa, quæ talem ac tantum méruit habére Redemptórem." (literally translated- "O happy fault that merited to have such and so great a Redeemer" diaconal bow to WDTPRS). To us, who are, at least materially speaking, semi-Pelagians a good deal of the time, Paul's stark statement can seem disturbing instead of comforting, speaking as he does of both Christians and Jews: "For God delivered all to disobedience, that he might have mercy upon all." Being a Christian, contra ideas about holiness being gauged by meticulously observing the 613 mitzvot, is recognizing our constant need for God's mercy, which is given us in Christ and realized, that is, appropriated, through the sacraments, which is why we have a Sacrament of Penance. In French, the word for thank you is merci. Merci is only a bit of what is called faux ami, that is, "a false friend." False friends are false cognates, words that are phonetically similar or identical to English words, but mean something different. In the case of merci, the origins of this word are the same as our English word "mercy." However, it is unusual for it be used in French to mean something like to show forbearance for or to take pity on another. But our need for God's mercy given in Christ and made available to us by the power of the Holy Spirit certainly constitutes part of our thanksgiving, our Eucharist. It's hard to believe that summer is almost over. Nonetheless, it has been a good and mostly restful summer for me this far, by the mercy of God. I am grateful for this because I sorely needed it. Not being so busy has given me time to pray and reflect more, to do some recalibration, especially concerning my ministry, which was demanding way too much of my time and energy. Things are pretty well set for the current year, but beyond that I think more discernment will be required, a judgment that seeks to take all the factors of reality into account, hopefully resulting in an intelligent judgment. I think anyone in Christian ministry, at least someone who belongs in ministry, wonders from time-to-time whether anything they do makes a difference, only be reminded over and again that faith, hope, and love are not something we generate ourselves. Hence, there really are no metrics for measuring the success of one's ministry, at least not any the really that matter, that tell you anything meaningful. Very often we work hard to apply instrumental reasoning to our endeavors, thereby seeking to reduce the Mystery to our measure. Msgr. Giussani wrote a pamphlet entitled The Meaning of Charitable Work. 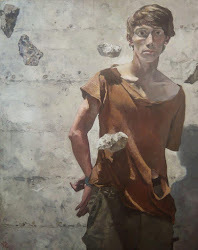 While performing charitable works certainly requires us to move beyond ourselves, there is nothing wrong with pointing out, as Giussani does, that we perform works of charity "so that we may learn to fulfill the task of becoming ourselves." Of course, all ministry is charitable work, that is, caritas, or agapé. Charity should never be reduced in the way we are prone to reduce it, using it the restricted modern way, to simply mean benevolent giving, with its implied condescension. Because it is part of being human to be interested in others, charitable work satisfies a need of mine. Don Gius observed that "it is Christ who has enabled us to understand the ultimate reason for this, revealing the ultimate law of being and of life: charity." Hence, the most elemental part of being human, the supreme way we can see that the Mystery is our origin and destiny, is our need "to share in the being of others, to live in communion." According to Gius, "Only Jesus Christ reveals this to us, because He knows what everything truly is, who God, from whom we are born truly is, what Being truly is." So, he continues, "I am able to understand the word 'charity' when I remember that the Son of God, loving us did not send us His riches (as He was able to do) and revolutionize our situation; instead He became poor like one of us: He 'shared' our nothingness." Hence, we perform charitable works "in order to live like Christ," which means nothing other than fulfilling "the task of becoming" myself. A deep diaconal bow to my friend Maria Elena for bringing this pamphlet by Msgr. Giussani to my attention yesterday. It seems to me that, at root, the riots in the U.K. have an existential cause that has to be considered by Christians before we start in about the decline of civilization, for which I agree these riots do not bode well, or blather on about race, economic policies, politics, etc. After all, civilization, especially Western civilization, did not arise in a vacuum, but was built on a solidly Christian foundation, which is a rather petrified way stating what I want to say. It does bring up the questions that I very much look forward to Peter Hitchens addressing in his Mail on Sunday column. As with the events in Norway, these riots bring up the question, once again, of civilizational suicide rooted in an existential cause, namely the loss of the transcendent aspect of being human ("Yet you have made them little less than a god, crowned them with glory and honor" Psalm 8:6), not grasping the mystery of our I.
I know Morrissey stepped in it when in Poland he linked the killings in Norway with KFC (remember Meat is Murder? He was serious then and is now), but this old, lovely Smith's song gets at it. I ask, when will the Church stop its collaboration with government, schools, business in flattening desire? This can be overcome in no other way than by the Church being the Church, not another bureaucracy, or social welfare agency, which are what I think people refer to when they express disdain for "organized religion," but truly Christ's Body, which means living in fidelity to the truth (the journey to which is experience), giving witness and telling others what we have seen, heard, touched and tasted. With Von Balthasar, I believe the center of the Church is Marian. So, it is to her we turn, poor banished children of Eve that we are, asking her to help us understand that "the nature of the Christian experience is seen by the fact that it is able to awaken the sense of mystery in the 'I'" helping us ask the human question ("Whoever Is In Christ Is A New Creation", pg. 6). I keep a reading notebook in which I jot down both long and short passages from books that simply strike me, move me, provoke me, or, stated simply, correspond with my heart. This afternoon I came across one from 5 or 6 years ago, I don't believe I used any of the quotes I recorded in this particular notebook for anything. Among the books from which I gathered quote are books I read from were Austerlitz, a book by one of my all-time favorite authors, the late W.G. 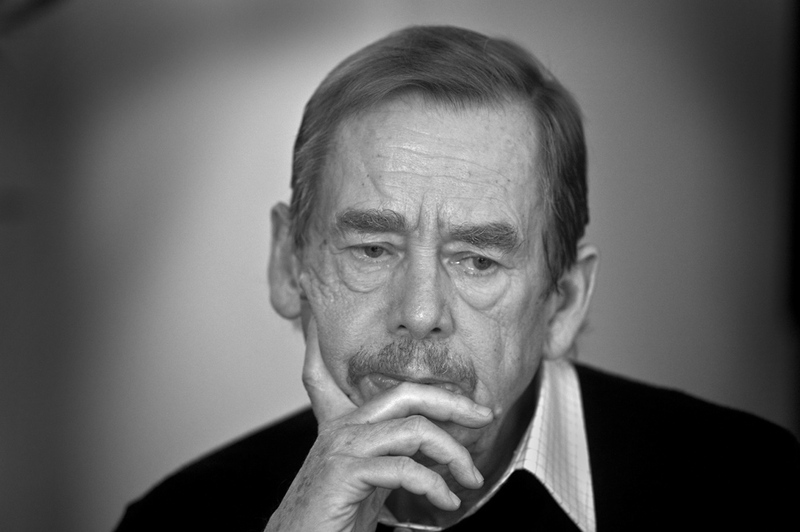 Seabald, Father Joe, by Tony Hendra, which remains one of the best I've read over the past ten years or so, and Ignorance, by another author whose works my life would be poorer without, Milan Kundera. Also included are bits by Susan Howatch, whose Starbridge series of novels are marvelous expositions on the spiritual life and a bit by the Dane, Kierkegaard- not necessarily in that order. "The Greek word for "return" is nostos. Algos means "suffering". So nostalgia is the suffering caused by and unappeased yearning to return"
From Søren Kierkegaard's journal for May 1843 "Faith has hope of this life...but only by virtue of the absurd, not because of human reason; otherwise it would be mere worldly wisdom." "I thought that pain and truth were things that really mattered..."
For our traditio today we're staying to close to the ground, stripped down, from the heart, none of which is to say hopeless, just the opposite: hope-full. So, In a Big Country live fits the bill, pays the bill, for me today. "So take that look out of here, it doesn't fit you/Because it's happened doesn't mean you've been discarded/Pull up your head off the floor, come up screaming/Cry out for everything you ever might have wanted/I thought that pain and truth were things that really mattered/But you can't stay here with every single hope you had shattered"
This is one of those songs that indisputably has the requisite Celtic spirit, which is explains why it has always been a spirtual song to me. In this age of short attention spans and even shorter memory, it is difficult for us to communally maintain the remembrance of someone over a long period of time. This is just where the Church comes to our aid. Over the course of each liturgical year we remember holy women and men from all the ages of the Church. Some saints were venerated very early on, their cult (not used in the contemporary sociological sense, but in the sense of those who venerated saints, fervently seeking their heavenly intercession) being very large. The cult of a given saint was typically most deeply rooted in the local community to which s/he belonged. So, it is in Rome to this day with the holy deacon, St. Lawrence of Rome. Today we remember St. Lawrence, a deacon of Rome, who was a martyr. Deacon Lawrence lived in the third century, his life spanning the years roughly from 225-258. In those early centuries, during which the Church was persecuted, Rome had only seven deacons who served the Roman Church and who worked side-by-side with the Bishop of Rome, the Pope. 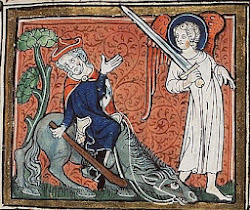 After Pope Sixtus himself was made a martyr for the faith, the prefect of Rome arrested Lawrence, who, along with the other deacons administered the temporal affairs of the Church. 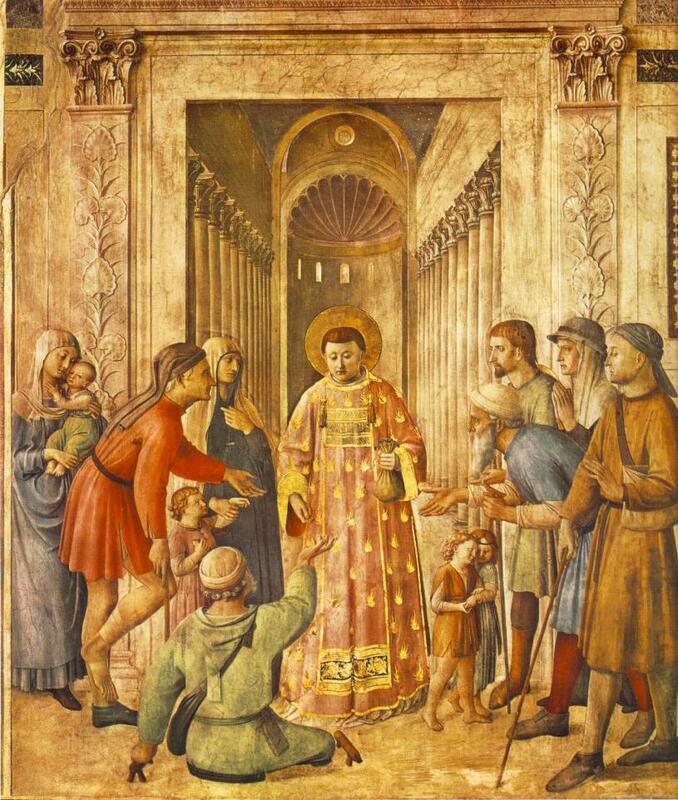 The prefect demanded that Lawrence hand over to him the Church's wealth. St Ambrose, the great bishop of Milan, is the earliest source we have about these events and tells us that Lawrence was given three days by the civil authorities to round up the Church's wealth so that he could turn it over. 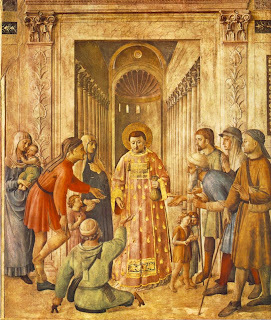 Over the course of the three days, Lawrence worked feverishly to give all that belonged to the the Church to the poor so that there would be nothing left to hand over to the Roman prefect. On the third and final day, Lawrence, heading up a small Christian delegation, went before the prefect and when told one final to time to hand the Church's treasures over, Lawrence did so by presenting the prefect with the Church's poor, crippled, blind, and suffering, saying that these were the Church's true treasures. He is reported to have said, "The Church is truly rich, far richer than your emperor." For this act of defiance he was martyred by being grilled on a gridiron. St. Lawrence truly demonstrated diakonia, which is nothing other than self-sacrificing service for others, self-emptying service, in imitation of the Deacon par excellence, our Lord Jesus Christ. St. Lawrence, holy martyr, you set an example for deacons throughout the ages, pray for us. As a deacon, I feel quite comfortable asking on my own behalf and that of my brother deacons for your prayers this day, that we, too, might render faithful service to and for God's People, like St. Lawrence. I also draw your attention, dear reader, to Dr. Ditewig's post this morning in which he helps us to grasp the contemporary significance of what we learn from the story of the martyrdom of the holy deacon Lawrence: Happy Feast Day to My Hero! "Lord, snap my stubborn heart in two"